3 Bedroom Terraced House For Sale in Gerrards Cross, Buckingha for Guide Price £895,000. Formerly 2 separate cottages is this now unified 2500+ sq ft attached character home located in an idyllic semi-rural location with off street parking, generous private garden, separate garaging, barn & BBQ entertaining area. The property enjoys rural views to both the front & rear aspect. 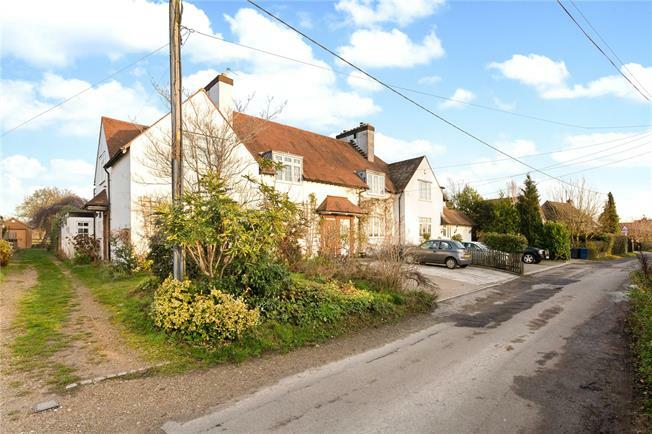 The property is located in a charming rural position approximately 2 miles from Chalfont St Peter village centre. Chalfont St Peter provides excellent day to day shopping & amenities. Additional facilities in nearby Gerrards Cross include the Chiltern Rail Link to London Marylebone (fast trains approx. 18-20 minutes) & both Amersham / Little Chalfont offer Metropolitan line services. both state and independent - further information can be sourced via www.buckscc.gov.uk, www.chiltern.gov.uk, www.ofsted.gov.uk or www.schools-search.co.uk (using the Postcode SL9 0).